Zeeedit installs but does not run on my Win7 laptop. I will explore why later, but in my eagerness to see some guts, I also installed the free FS1R editor from Japan. I’m impressed. 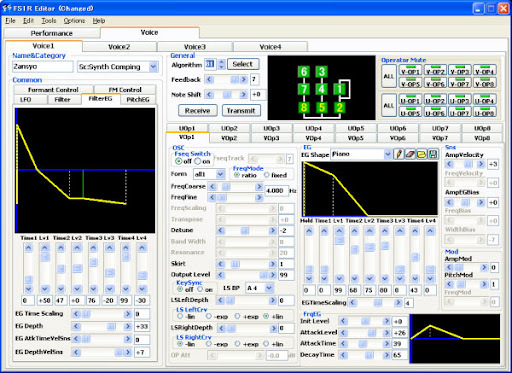 It connected and works flawlessly first time, all parameters editable in real-time. Although the interface is tabbed, it’s highly polished and supports direct text input. Perfect! This entry was posted on	February 1, 2011 at 19:33	and is filed under Yamaha FS1R.